Carter's and OshKosh B'Gosh offers extra 25% off with code applied during checkout while shipping is free. Click “Redeem Now” to enter the online site of Carter's. Apply the coupon code to receive 20% off your purchase of $40 or more from Carter's. Exclusions: clearance, Carter's at Home, or OKBG Exclusive products, furniture, bath and body care, gift cards, or previous purchases. Shop sidewide at Carter's and use the coupon code to get 15% off. Exclusions: Clearance, Doorbusters, and Gift Cards. Save 15% on your entire order with this coupon code from Carter's. Exclusions: clearance, Carter's at Home, OKBG Exclusive products, furniture, bath and body care, gift cards, or previous purchases. Take 20% off $40 or more with the use of the coupon code at Carter's. Excludes clearance or doorbusters. For more information, please click “Redeem Now”. Save 15% off entire orders at Carter's valid with the use of the coupon code during checkout. For more information, please click “Redeem Now”. Save 20% off $40 at Carter's while entering the coupon code at checkout. Exclusions apply, click "Redeem Now" to view more promotions. 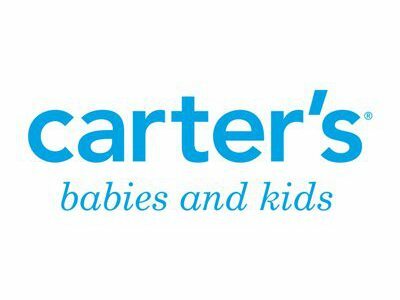 Get 20% off $40 or more at Carter's when use the coupon code at checkout. This offer is ongoing and is in effect now. Click “Redeem Now” to see details. Save 15% off entire purchase at Carter's with the use of the coupon code. Not valid on purchase of clearance or doorbusters. Click "Redeem Now" to view more.